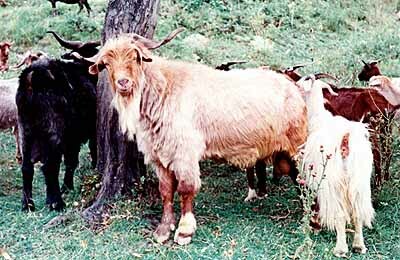 The Carpathian Goat is an old breed of endangered Polish goats that are used for the production of milk and meat. The breed is adapted to the local climate, management system, much resistant to parasites, and support capacity of vegetable production. They can even be raised in small backyards. This breed has a well-disposed temperament which makes them ideal for being used in agro-tourism projects. The Carpathian goat breed evolved in southeastern Europe, including Romania and Poland. These goats lived in large numbers in the mountainous regions, including the Carpathian Mountain in the 19th and 20th century. However, they started to fade away with the introduction of more efficient goat breeds, so much so, that they almost became extinct with the introduction of modern breeding techniques. In 2005, however, a very small herd of these goats were spotted in Poland that were instantly taken to the National Research Institute of Animal Production in Odrzechowa near Sanok (Subcarpathia). With the National Research Institute of Animal Production working hard to restore the breed since years, at present, only a few more than 50 Carpathian goats exist, including 30 breeding females and 4 breeding males. The farmers across Poland have already received around 30 Carpathian goats. Since mid-March 2015, the goat owners in Poland have been getting subsidies from the agro-environmental programs of the European Union. The Carpathian goats are used for reproduction at the age of 9‐12 months. 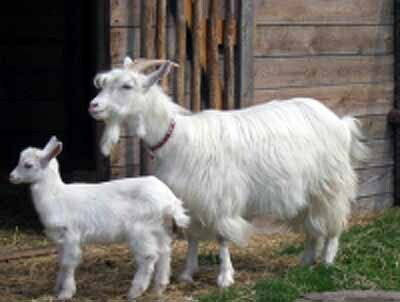 In each goat family, the male goats are culled at the age of 4‐5 years, and are replaced by its male offspring. The female goats are culled at 8. Plans have been made to enhance the natural process of breeding efficiently. The breeders have also been exchanging breeding individuals to enhance fertility and increase the chances of new birth. The Carpathian goat has a dairy conformation. The average milk production in each lactation period ranging for 9 months is 240‐280 liters on an average. However, in the peak periods of production, the females have yielded 450, while some individuals have even produced 800 liters. However, compared to other European breeds like the ‘Saanen’ and the ‘Alpina’, the milk production of the Carpathians is a very low lactogenic productive potential. The Carpathian’s milk contains about 4.5‐5 % fat. The meat of the Carpathian goat is tender, and is practically produced mostly from reformed goats, or suckling, early spring kids that are 1‐2 months of age, weighing between 8‐14 kg (live weight). Initiative has been taken to improve the quality of chevon from these goats by crossbreeding them with the ‘Boer’ breed.